Project Administrator Potters Bar £22k - £25k plus benefits We are recruiting for a Project Administrator to support product selection and assist with the quoting and tendering provision for a global company which specialises in energy management. This is a newly created role so an excellent chance to carve your own career within an exciting, world-renowned organisation. Excellent opportunity for a commercially minded Project Administrator to create their own role within a globally renowned, innovative company. 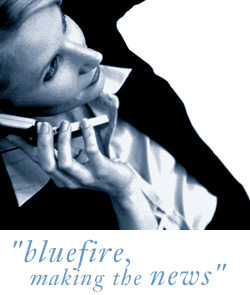 Bluefire Consulting are recruiting for a Project Administrator to support product selection and assist with the quoting and tendering provision for a global company which specialises in energy management. This is a newly created role so an excellent chance to carve your own career within an exciting, world-renowned organisation. To be considered for the Project Administrator role you must have experience working in a similar project administration role supporting team ideally within the electrical or energy management market. You need to be commercially aware and any finance or electrical-related background or qualifications would be viewed as highly beneficial. Owing to the nature of the Project Administrator role you need exemplary written and verbal communication skills and strong analytical abilities. The client has invested significantly in this division recently which has allowed them greater flexibility with their products, they need someone who is innovative and commercially-minded enough to take advantage of this.